This give away was one of the funner give aways in a while. A ton of entries, so I want to say thanks to everyone that submitted an entry. But, as they say, there can only be one winner. 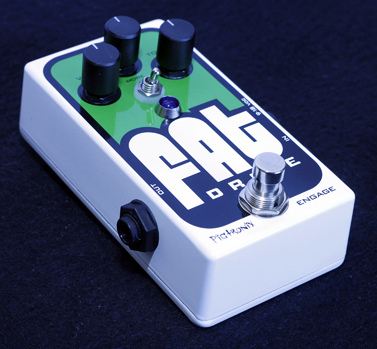 And the official winner of the Pigtronix FAT Drive is Eric Hausmann of Beaverton, OR. Congrats Eric, I’ll be shipping of the FAT drive tomorrow! Love to get a guest review of that bad boy! I’d also like to send out a special thank you to the great guys at Pigtronix for offering this pedal as a give away! Thanks much! Please be sure to check out Pigtronix’s pedals at their website, like them on Facebook and follow them on Twitter. I have some more items that I’ll be giving away so be sure to keep your eyes out for those in the near future! Congrats Eric! Now you fat too! AAAWWWWWW shucks I never win ANYTHING!!!!! !